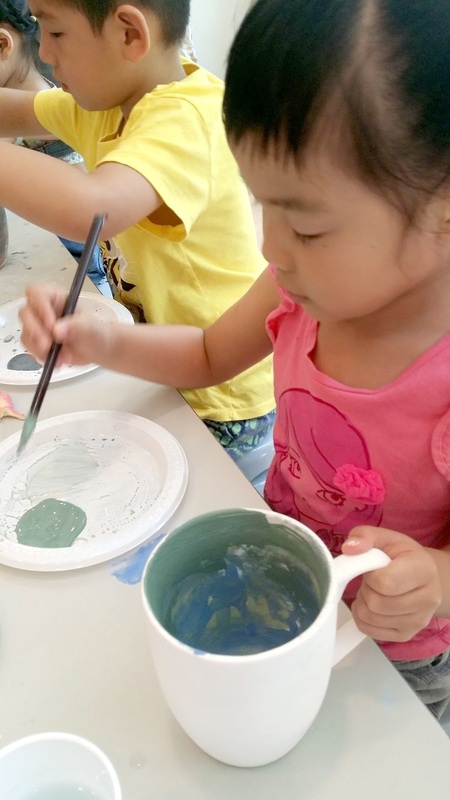 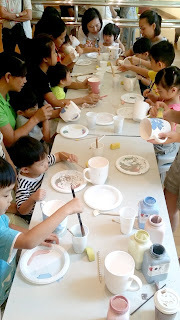 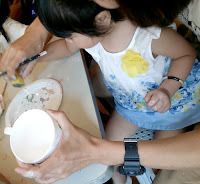 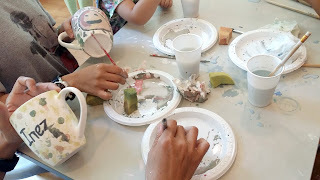 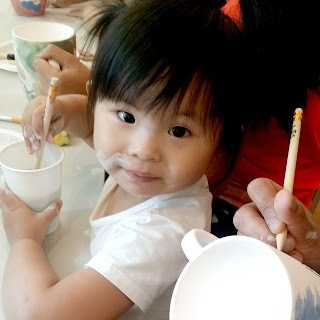 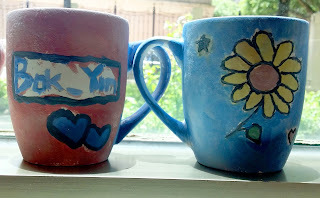 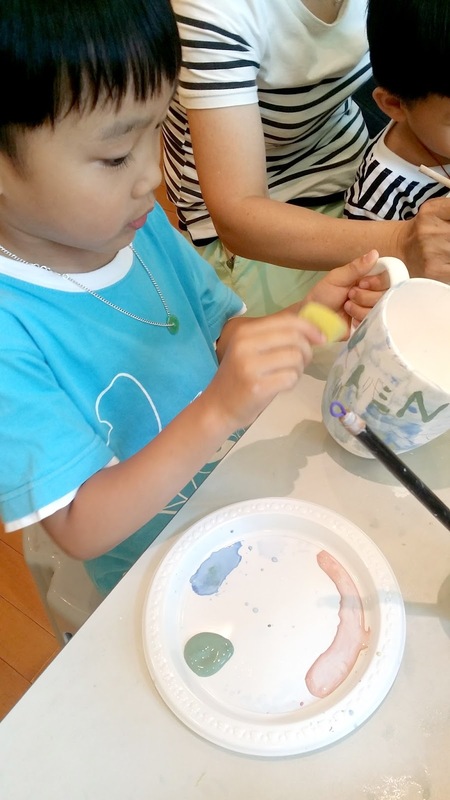 A fun pottery glazing workshop for the youngens, Children and their guardians decorated mugs with their name and anything else of inspiration. After the under glaze decoration is finished, all the mugs will receive a coat of clear glaze and fired in the kiln. 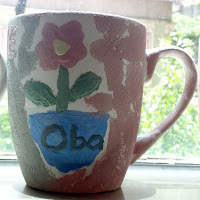 It is always exciting to see the final results; the children usually have to wait a few days until the mugs are returned to them.